After arrival and checking in lunch will be served, after which you will get a chance to visit a Tharu village and the Park's visitors' centre. After enjoying the sun set on the river there will be dinner and a cultural programme. 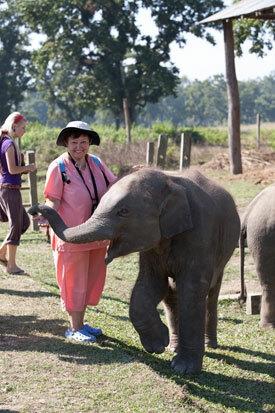 The next morning will be spent in a dug out canoe followed by a jungle walk or a visit to the elephant breeding centre. After lunch an elephant safari and other evening entertainment follow. On the third morning there is time for breakfast and a birdwatching trip before departure.